How Much Shrinkage Should I Expect? I have learned from experience that shrinkage is usually around 35 - 41%. For some, this percentage may be a little high. 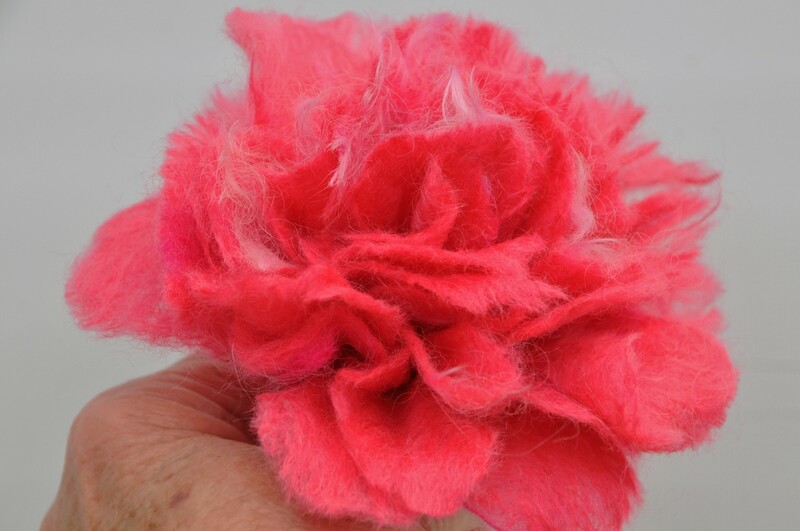 The wool you choose and the method you use for your wet felting will make a difference. 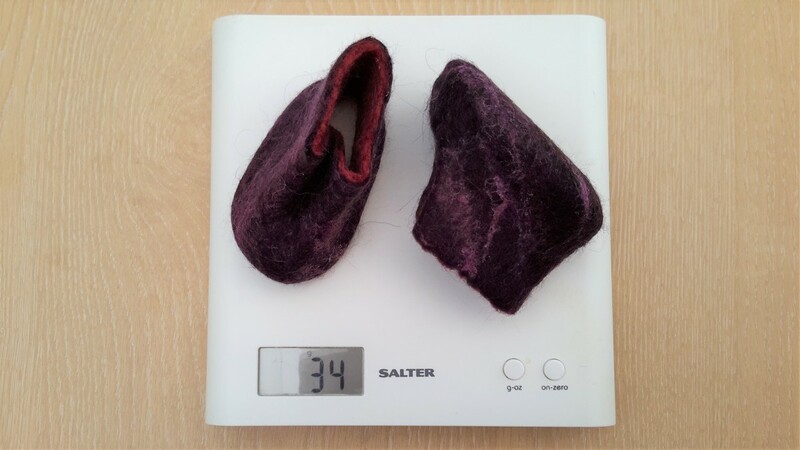 You may prefer a softer approach to mine, a method which does not involve using a tumble dryer to get a firm felt. I always use a thick bamboo blind for the rolling part of the process. When shaping anything on a last, I always apply additional soap and friction followed by repeated doses of hot and cold water. I also hit the project hard against the sink or an outside wall to shrink it where necessary. I always use Botany Waste these days, mainly because it is such good value for money. 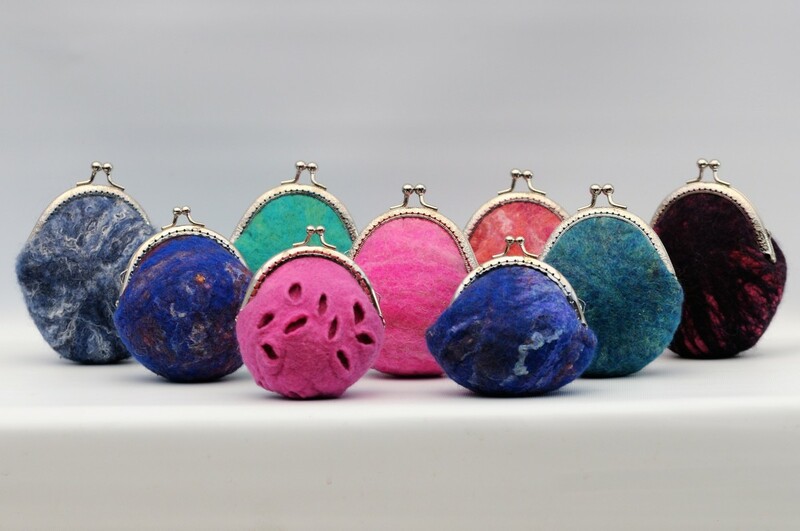 It is a bag of top waste from World of Wool which consists of dyed tops, dyed fleeces, natural tops and end of runs from their blending machines. 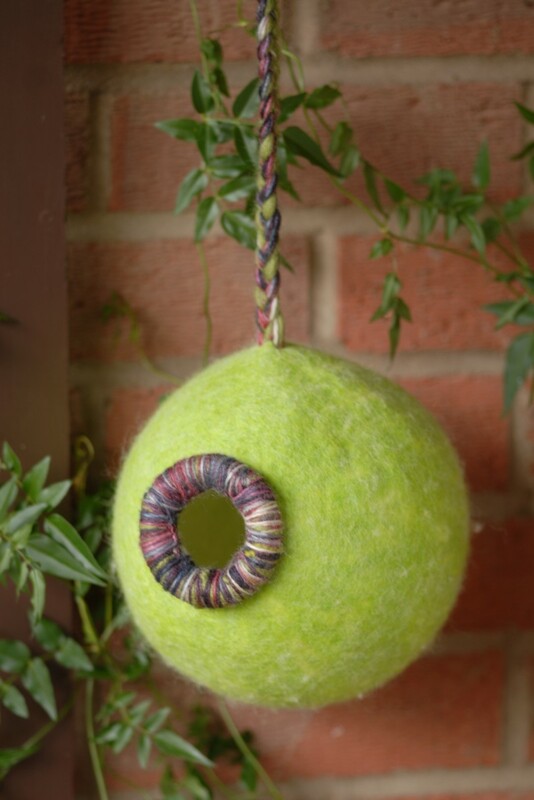 It is brilliant for felting, needle felting, and spinning and is the perfect choice for beginners. Please be aware that there may be some synthetic fibers included which will not felt on their own. These fibers can, however, be added in small quantities for sheen or design. 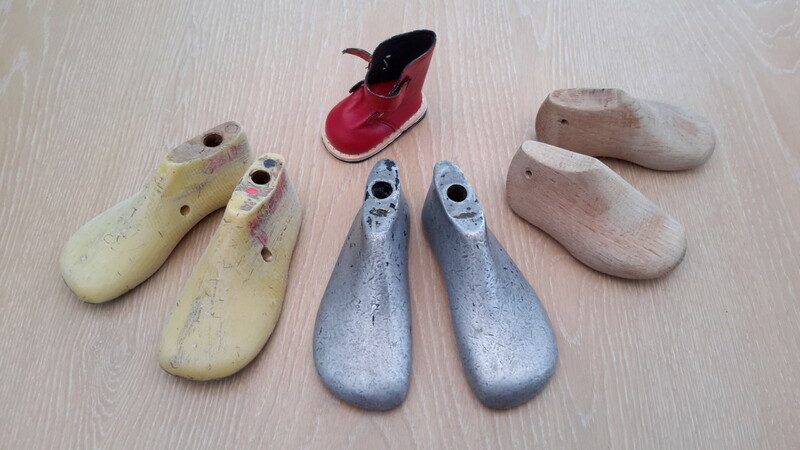 For best results, I recommend that you purchase shoe lasts for all your slipper or boot projects, that is if you want a really professional finish. These are available in wood, metal or polystyrene, the latter being your cheapest option but If they are beyond your budget never fear! As you can see below, I have even substituted a doll's boot for a shoe last. 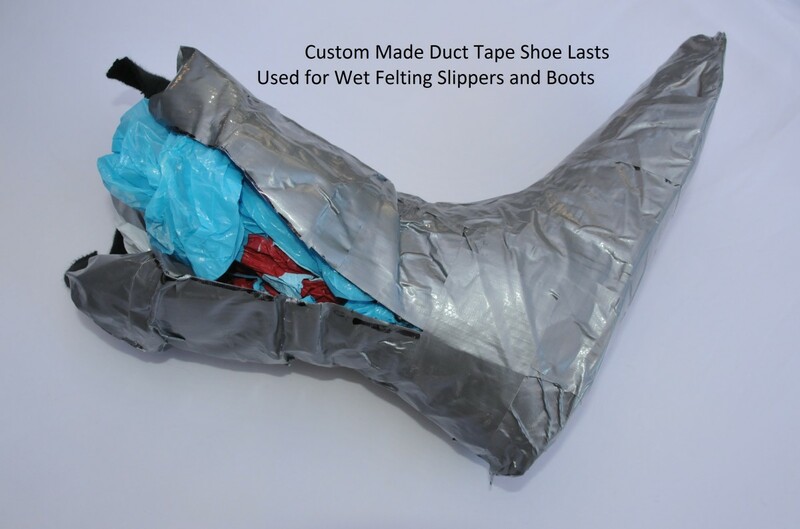 You can even make your own shoe lasts using duct tape which can be filled with plastic bags! I have even substituted plastic beach shoes in the past. 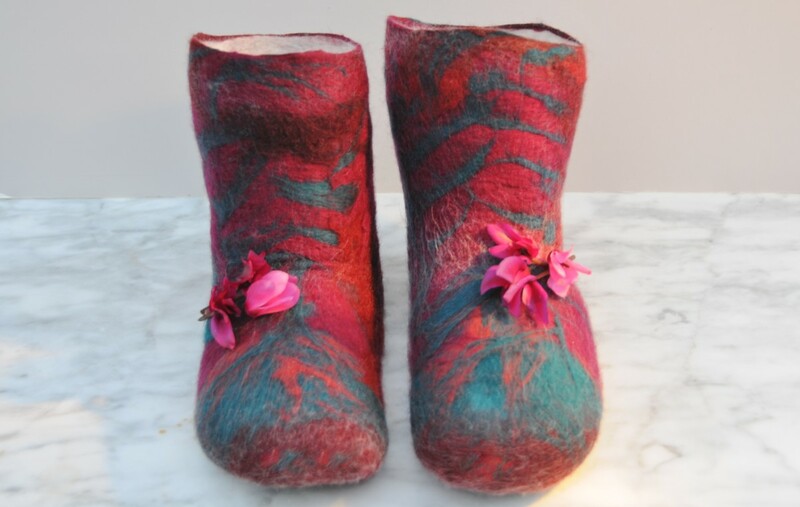 From my experience, one cannot 'stretch' a project once it has shrunk; however, it is always possible to achieve a well-fitting slipper or boot using the methods I have described here. 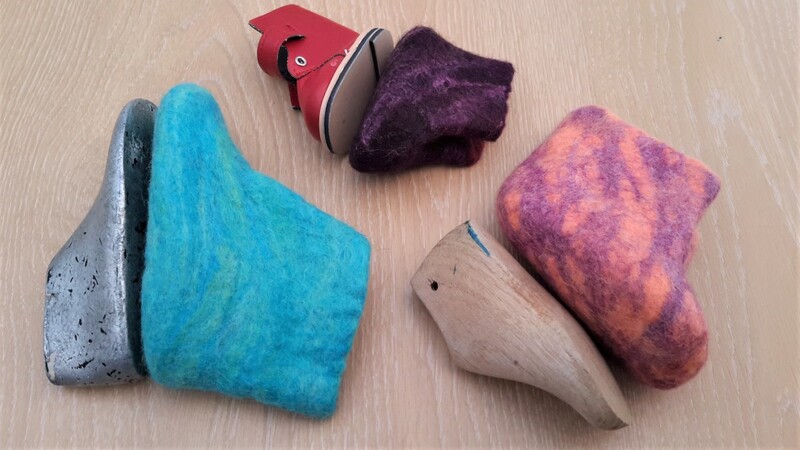 If it is your habit to do swatch tests every time you use a different type of wool you will probably know the average shrinkage that you can expect. If you do, you can choose this percentage when you print out your templates. 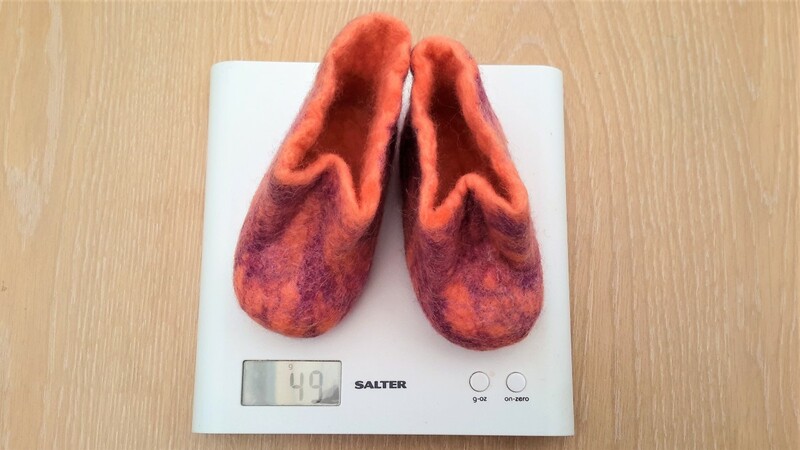 If not you can start out with an average of 35–41% and be assured of a good outcome especially if you use the felting methods I use. 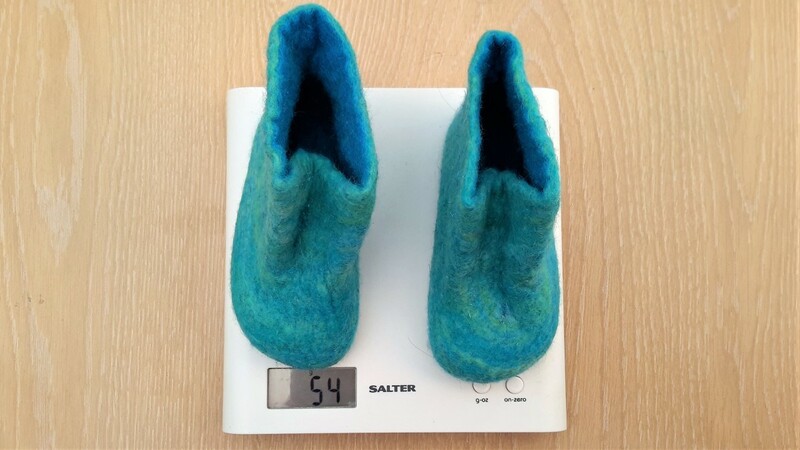 Felting is not an exact science, and we all choose a method which works for us but for people who are new to felting, I hope that this tutorial will take some of the guesswork out of the equation and you will end up with slippers or boots which fit the wearer every time. Shoe lasts, feet or shoe soles. Paper Scissors: Make sure you have a sharp pair! Trace the outline of a child's last on a sheet of A4 paper. 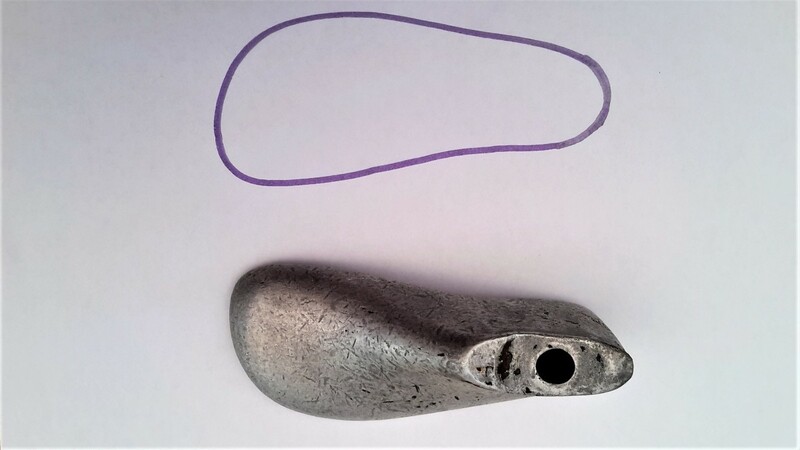 A foot of a child or the sole of a plastic shoe may be substituted. 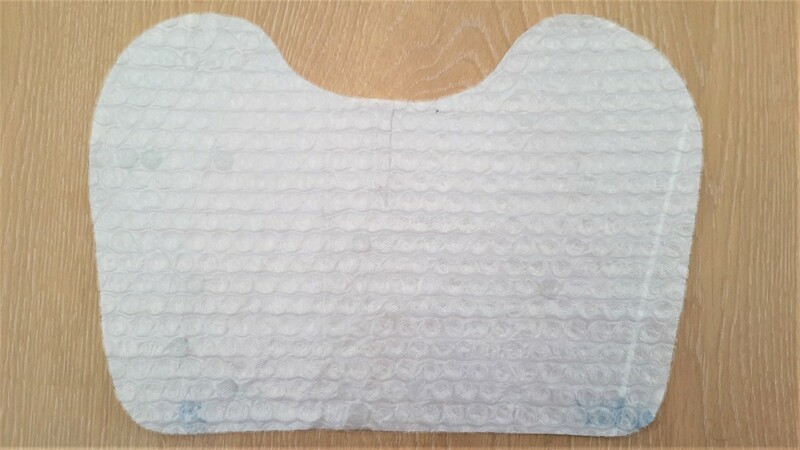 Increase the print size from 100% (actual size) to 141% or reduce or increase the percentage to the amount which you know your type of wool shrinks to. If you do not have this information to hand I suggest that you use anything between 35 - 41% for this project. I use a Canon MG6250 Printer/Scanner which makes it very simple for me to make these adjustments. If you do not have a printer you could always go to your local print shop and ask them to increase the print by the percentage you require. 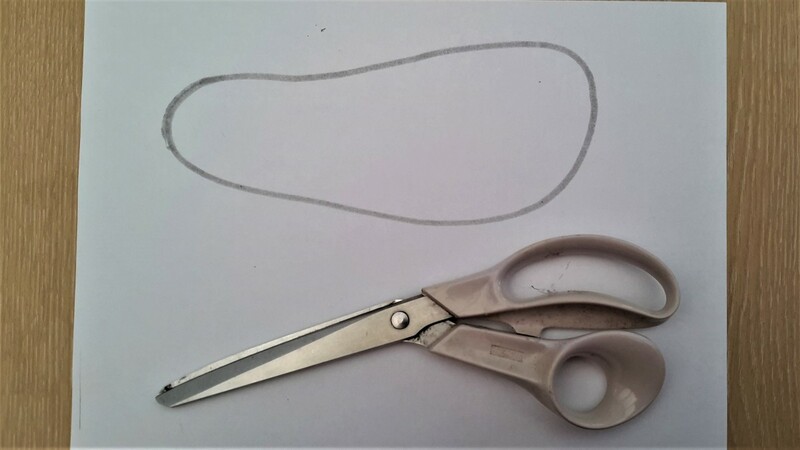 If making larger shoes you should scan the image and save to your computer. 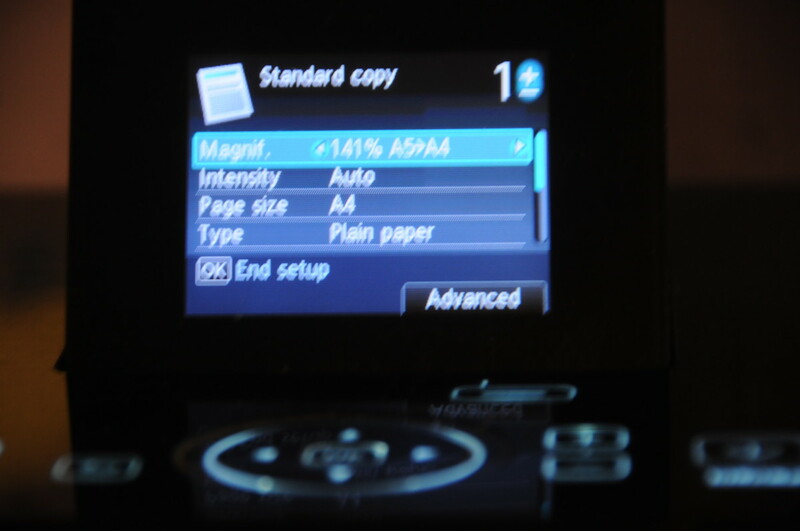 I use Adobe print settings to set the printer to print at 141% and set it to print the image over 2 or more pages. I then tape the pieces together to create a paper template. Cut out the scanned image. It can be turned over to produce a mirror image. 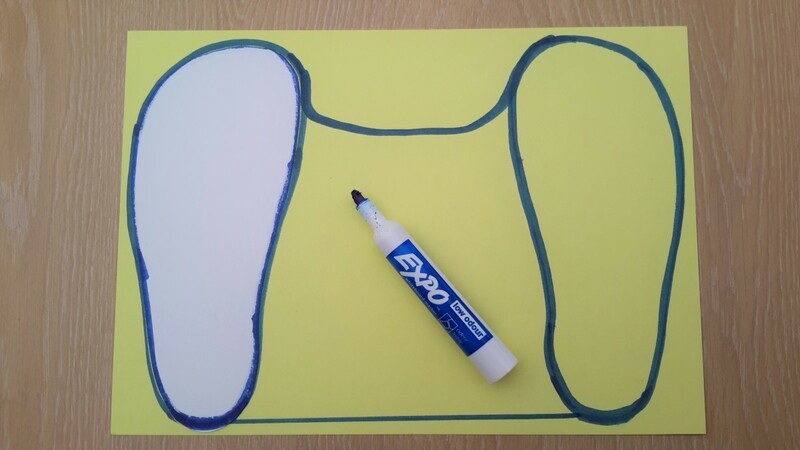 Place the cutout foot close to one edge of a sheet of A4 card as can be seen below and draw around it using a felt tip pen. 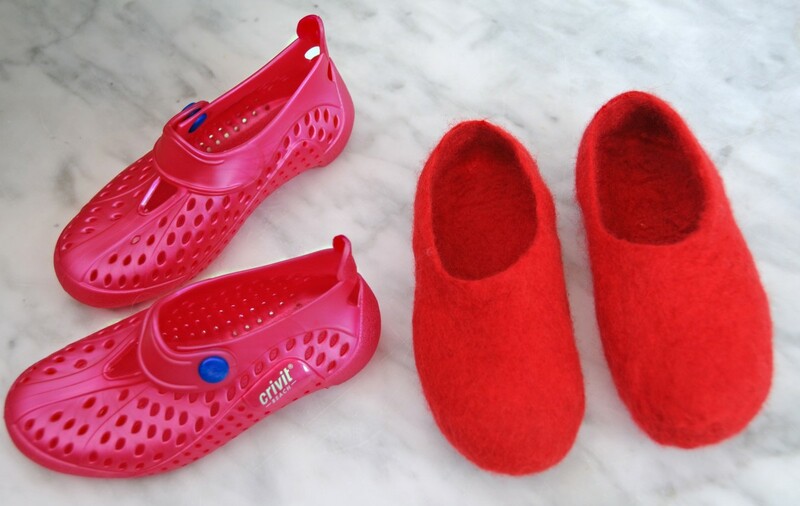 The slippers and boots made here were created for children. 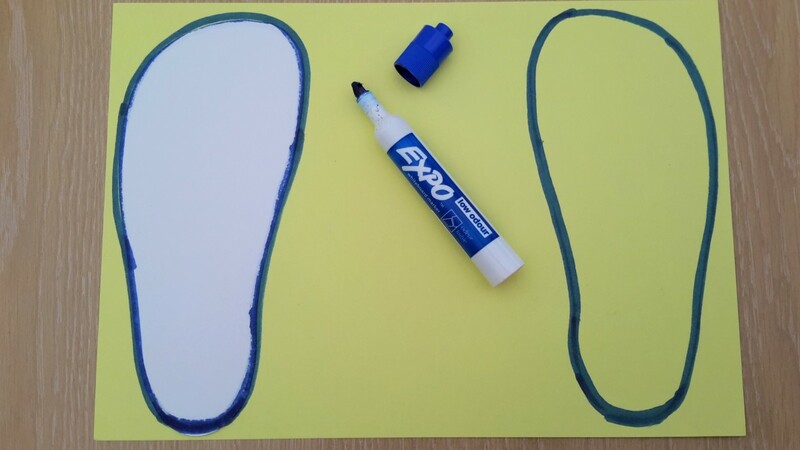 Use a larger piece of paper if you are making bigger slippers or boots or tape 2 together. 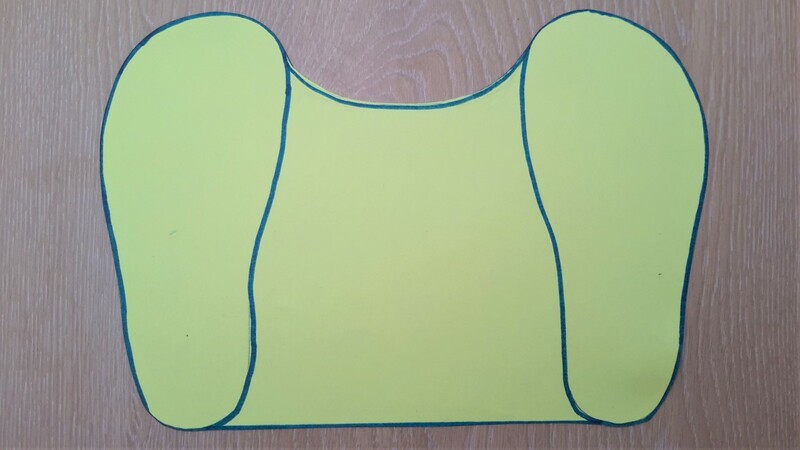 Lift off the paper template and draw another on the other side to create a mirror image. Bear in mind that the space left between them will determine the actual height of the boots when completed. Shrinkage should be factored in. 5. Getting the Height of the Shoe Right! 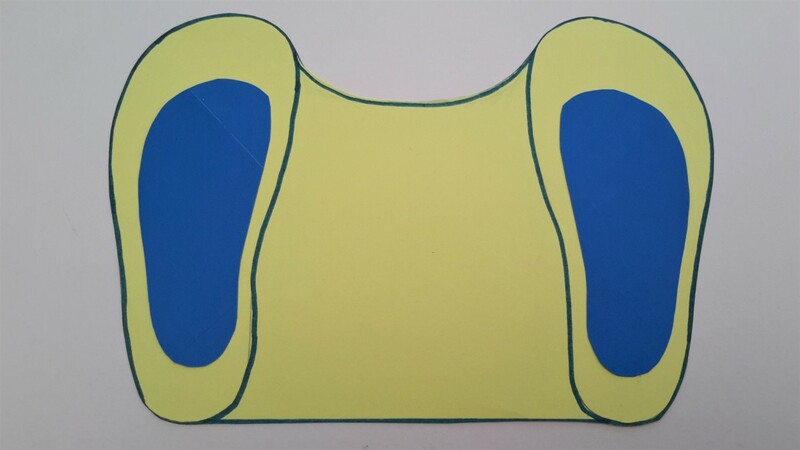 The area which joins the 2 shoes together will become the top of the boots or slippers when the template and the boot are cut through the middle. This height can be increased or decreased by reducing or increasing the space between them. Cut along the lines to create a template. Cut a laminate flooring template from a thick sheet of plastic or bubble wrap. 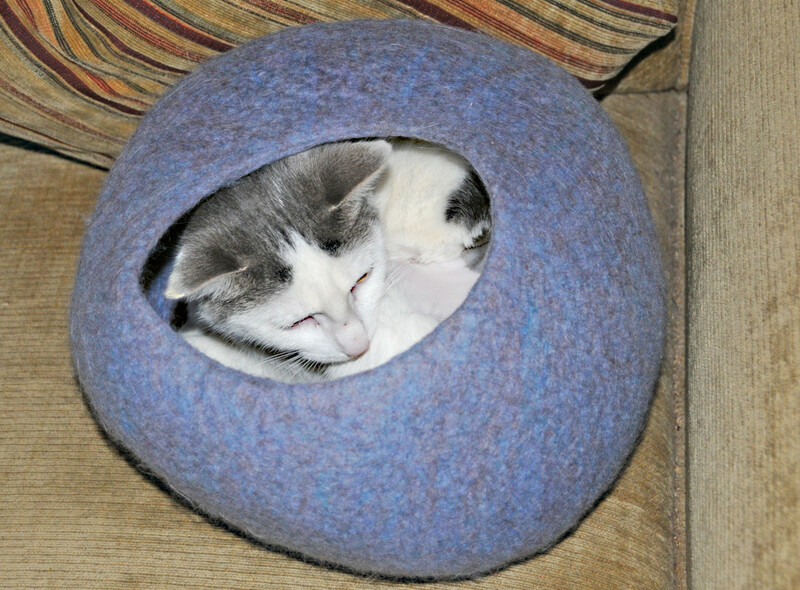 How Much Wool Roving Will I Need? 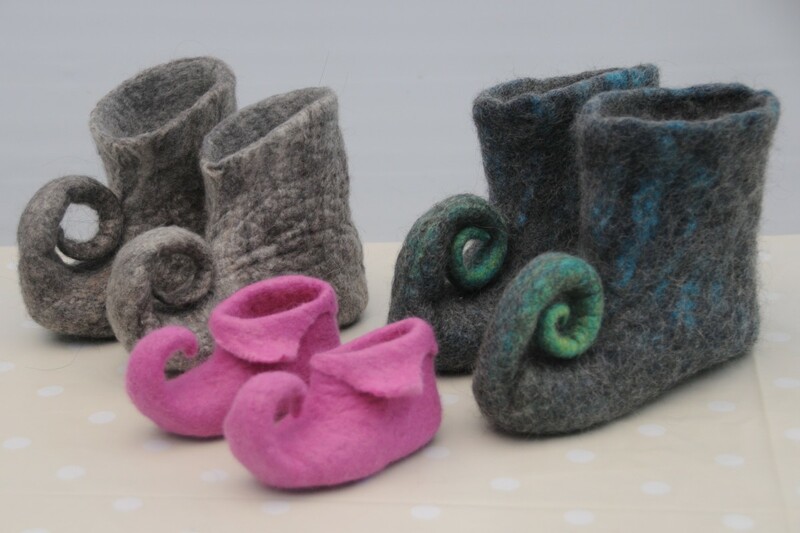 I am often asked how much wool will be required to make slippers or boots. 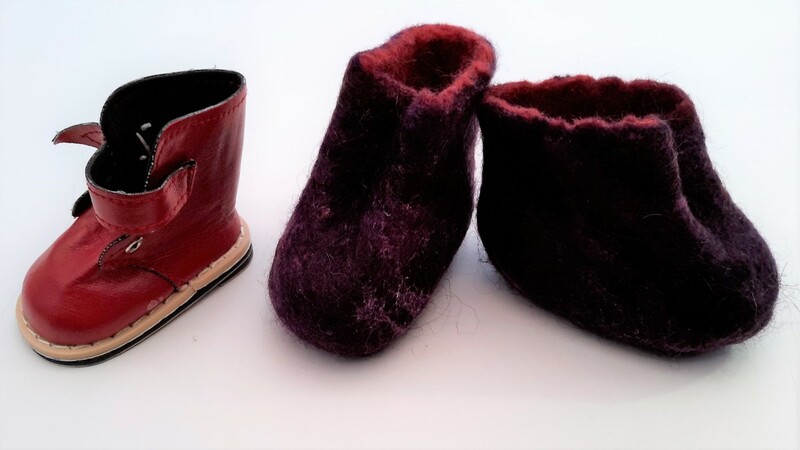 I have created 3 pairs of boots in 3 sizes for this tutorial, starting from a tiny doll's boot, to an infants boot and a young child of around 3 years. 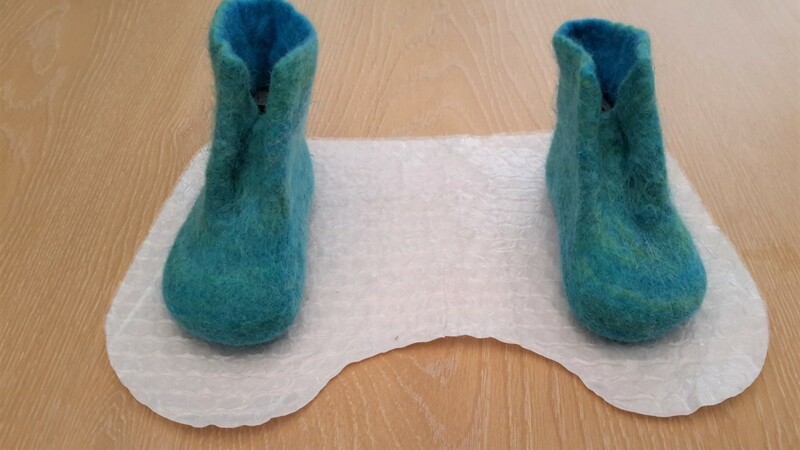 How to use this Template to make a cute little pair of booties with laces. Oh how pretty and I am sure very comfortable to wear. The colors are unique. Always an admirer of the unique products you create. These little darling boots are no exception. The ones with strings are my favorite. You're also a great tutor.